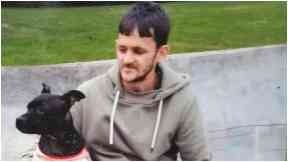 Robert Scoular was reported missing after failing to return home from his local shop. Body: Robert Scoular was recovered from a loch in Edinburgh. The body of a missing man has been found in a loch in Edinburgh. Robert Scoular left his home in the city's Lochend on Wednesday at around 10pm, saying he was going to the local shop. The 34-year-old was reported missing after failing to return home. Police officers searching Lochend Loch found his body at around 4pm on Saturday. He was recovered from the water and formally identified. Police Scotland Inspector Colin Fordyce said: "Our deepest sympathies are with Robert's family and friends at this time. "Inquiries are ongoing but there appear to be no suspicious circumstances surrounding his death."